Seven protesters were arrested as left-wing groups rioted against conservative political commentator Milo Yiannopoulos in Sydney on Tuesday. 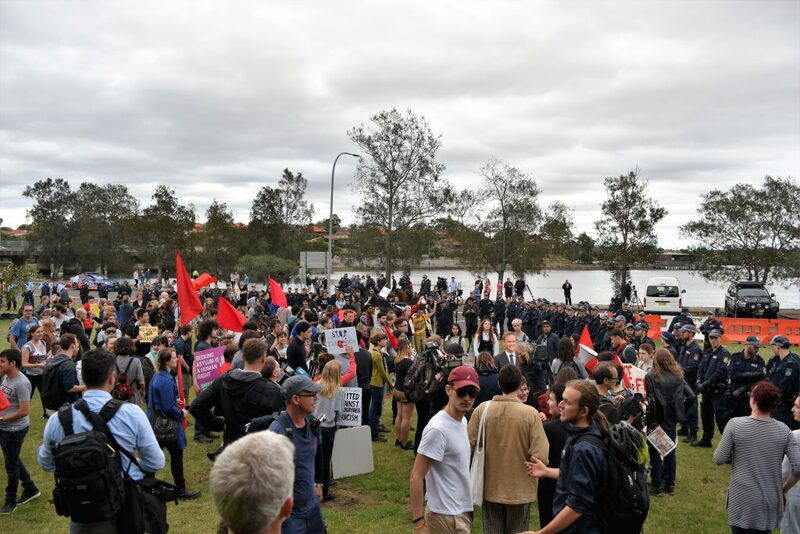 The unrest occurred outside the venue of Mr Yiannopoulos’ speech at the Le Montage, Lilyfield with local roads closed in the lead up to the event. About a hundred left-wing activists and protesters hurled chants of “f**k off Nazi scum” to guests arriving at the venue. Activist Kim Murphy claimed that the controversial speaker was “a disgusting neo-Nazi bigot” and called on protesters to stop his speech. Following violent protests in Melbourne against Mr Yiannopoulos’ Australian Troll Academy speaking tour, a hundred riot police backed by mounted units established a mobile command post outside the venue. Officers were targeted with chants of “racist pigs” after riot police arrested protesters for assault, breaching the peace and other offences. 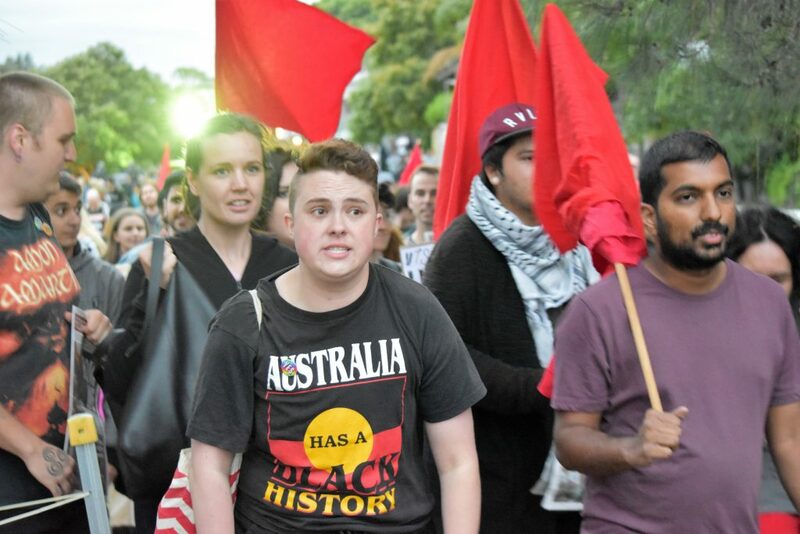 Socialist Alternative activist Gavin Stanbrook claimed that the protest was to highlight the “racism and the sexism” being perpetuated by the conservative commentator’s views. 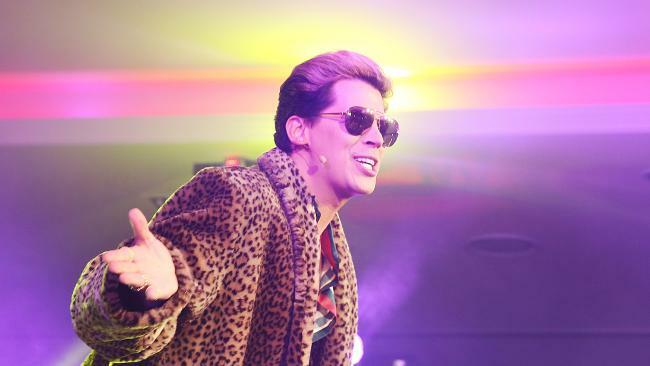 Mr Yiannopolous’ event proceeded without hindrance from left wing protesters outside much to the delight of about two thousand guests. Wearing a leopard print fur coat, the political commentator proudly entered onto the stage to the sound of Madonna’s Vogue to rounds of applause. 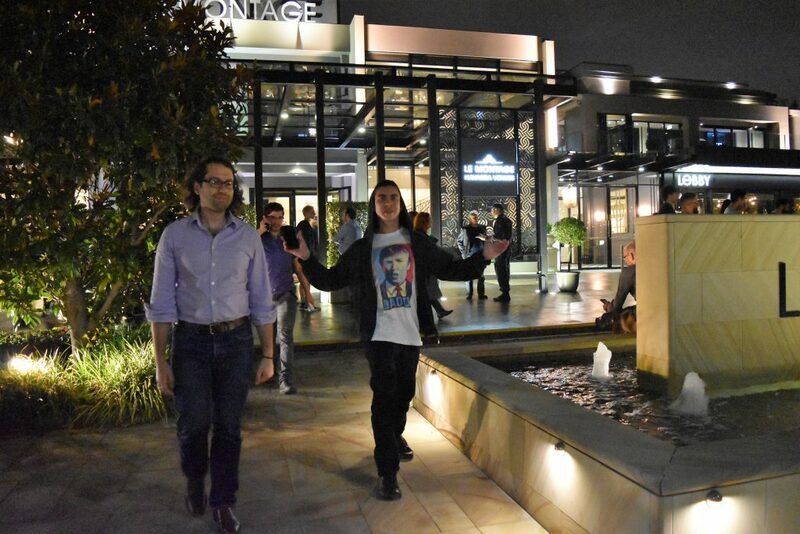 Security ejected a lone shoe-throwing protester shortly after the start of Tuesday night’s event. Guests leaving Tuesday night’s speech described the event as “brilliant, absolutely brilliant!”. Asked whether the controversial speaker’s comments cross the line especially about feminism, a woman carrying a Milo hat said “absolutely!” and that she heard about this event from her daughter. 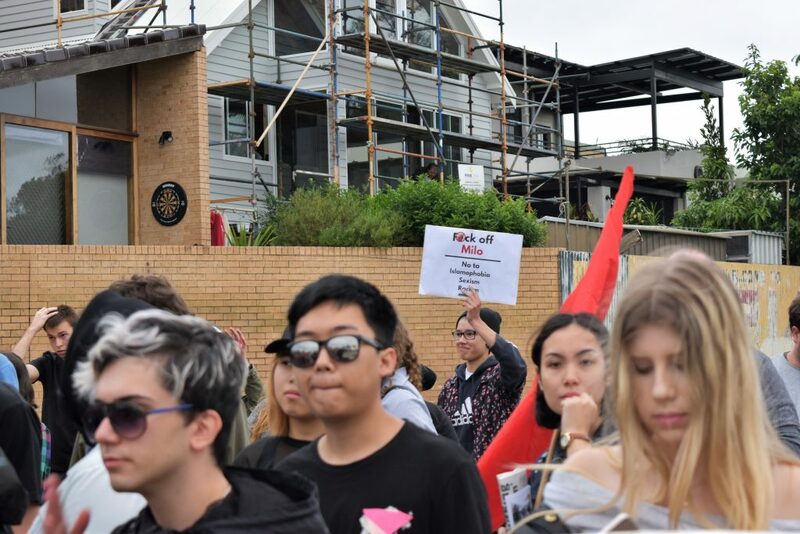 Spotted in the diverse crowd of pro-Milo supporters was some ‘Make America Great Again Hats’ along with a “Pauline Hanson’s One Nation” hat and a “Kekistani” flag. 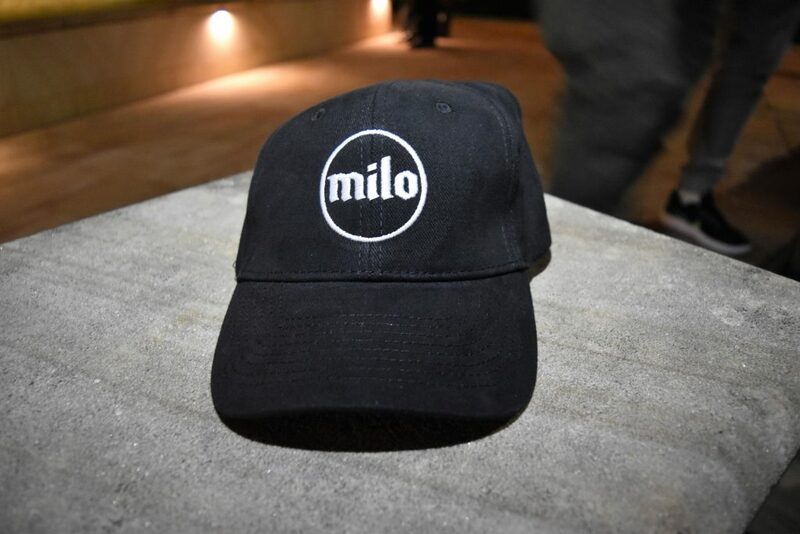 Police officers guarding the front of the function centre commented that “[Milo] puts on a bit of stage for comedy” as they were thanked by guests leaving after the end of the speech. The venues for the Troll Academy tour have not been announced until an hour before its commencement in an attempt to minimise large-scale demonstrations.